The Vampire Facial, also known as the PRP Facial, is a cutting-edge procedure that uses the body’s own natural healing agents: the Platelet Rich Plasma (PRP) found in your own blood. The healing plasma is used to stimulate the production of collagen and tissue regeneration. The Vampire Facial improves tone and texture of the skin, and increases the production of new collagen. While the procedure induces cell & tissue regeneration, is also visibly softens the fine lines and tightens the skin. The Vampire Facial is a quick, minimally invasive procedure where the PRP and growth factors are delivered both topically and directly into your skin. This nutrient rich PRP recreates a more youthful glow, improves vascular flow, tone and texture of the skin. The PRP promotes collagen to growth, regenerates tissue and acts naturally to smooth and tighten the skin as well as soften wrinkles. The Vampire Facial will rejuvenate your skin and improve texture while making your skin look younger and healthier. Skin renewal, rejuvenation and collagen stimulation continues for about 3 months after the procedure allowing the favorable results of the procedure to last anywhere between 6 months to a year. What Can I Expect During the PRP Facial? A small amount of blood is drawn from your arm and processed in a special centrifuge. The processing separates the nutrient PRPs from the blood. A topical anesthetic is applied to the face so that we can use a microneedling process to create microscopic breaks in the blood vessels below the skin’s surface and allow the PRP to be delivered, directly and deeply into the skin. The PRP and isolated growth factors are applied to the skin where they are easily and readily absorbed into the microscopic breaks in the skin. The combination of the microneedling and growth factors create the perfect environment for the tightening, collagen stimulation and rejuvenation that is so sought after. 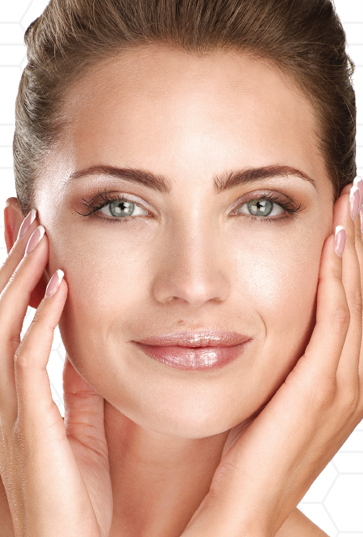 Reach out to Dr. Bronfman Beauty to schedule a PRP facial for yourself and see what all they hype is about.